Since it was founded in 1987, England & Co has established an independent and individual identity that reflects the eclectic, historically aware, research-based curatorial approach of gallery director/curator Jane England. There is no specific stylistic or generational specialization and from the beginning, the gallery programme has alternated between contemporary art and explorations of relatively recent art history. 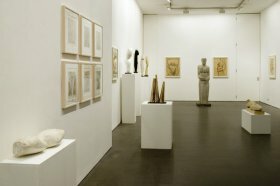 The gallery represents a number of contemporary artists; advises and acts for the estates of artists and collectors; and also holds a regularly changing stock of 20th and 21st century art works. From the beginning, the gallery has regularly published exhibition catalogues, and has published editions of prints and multiples by contemporary artists. 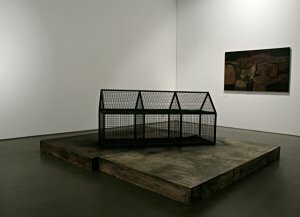 Solo exhibitions of contemporary artists from Britain and abroad have been augmented by themed survey exhibitions – such as Wandering Lines: Automatic Drawing to Abstraction and The Map Is Not the Territory series – that place contemporary work in a specific context and mix established with emerging artists. Gallery director Jane England is also committed to researching and curating retrospective exhibitions that reappraise artists from the British and European avant-garde of the 1930s through to the 1950s, 1960s and 1970s: these have included the abstract pioneer Paule Vézelay; the action-painter William Green; founder Situationist Ralph Rumney; the kinetic sculptor Liliane Lijn; and a significant figure in British performance art and installation, Stuart Brisley. More recent post-war art history was explored in The Exploding Galaxy/99 Balls Pond Road, Screen Practice and The Neo Naturists. The gallery cooperates with many institutions, lending works to numerous exhibitions, including to the Guggenheim, Bilbao; the Whitechapel Gallery, London; the Wellcome Trust Gallery; the Hayward Gallery, London; the Barbican Gallery, London; PS1 MOMA, New York; the Metropolitan Museum, New York; SF MOMA, San Francisco; the Grand Palais, Paris; and the Venice Biennale. Corporate collections that have acquired works from the Gallery include Deutsche Bank; Barclays Bank, London; and Penguin Books, London. England & Co has sold numerous contemporary and 20th-century works to public collections, including Tate; the Imperial War Museum; the Victoria and Albert Museum; the Birmingham Museum & Art Gallery; the Museum of London; the National Gallery of Australia; the Smithsonian Institution, Washington; the Arts Council of Great Britain; and the British Museum. England & Co held its initial exhibition in April 1988 in its first gallery space in Needham Road, Notting Hill. In 1999, the gallery expanded and moved around the corner to an architect-designed gallery space on Westbourne Grove. 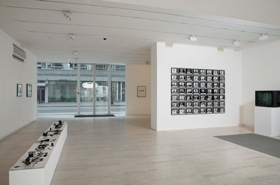 At the beginning of 2012, the gallery began its three-year residency in Great Portland Street, Central London. 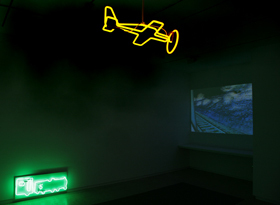 This substantial space allowed the gallery to incorporate film screenings, performance and installation into its programme. Due to the redevelopment of the Great Portland Street building, England & Co relocated back to a project space in West London while continuing to curate exhibitions in other various locations and initiate projects, with a particular focus on placing works in museum and institutional collections.